Cove Point Lighthouse is located on the western shore of the Chesapeake Bay, 4 miles north of the entrance to the Patuxent River. The light station includes a conical brick tower lighthouse with detached keeper’s dwelling and fog bell building. 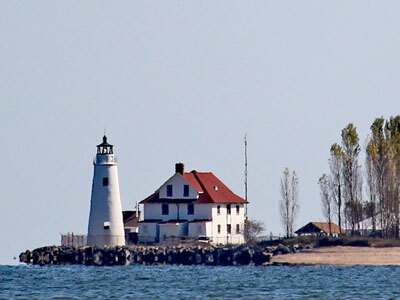 Active since 1828, Cove Point is the oldest continuously operating lighthouse on the Chesapeake Bay. Ownership of the Cove Point Light Station was officially transferred from the U.S. Coast Guard to the Calvert County Government in September 2000. The site is open for visitation and the keeper’s house can be rented from the Calvert County Marine Museum. The lighthouse is listed on the National Register of Historic Places.